Baltic Amber for Africa was created because we believe in the healing power that amber has to offer. Amber works by releasing a succinic acid that the amber responds to when warmed up. 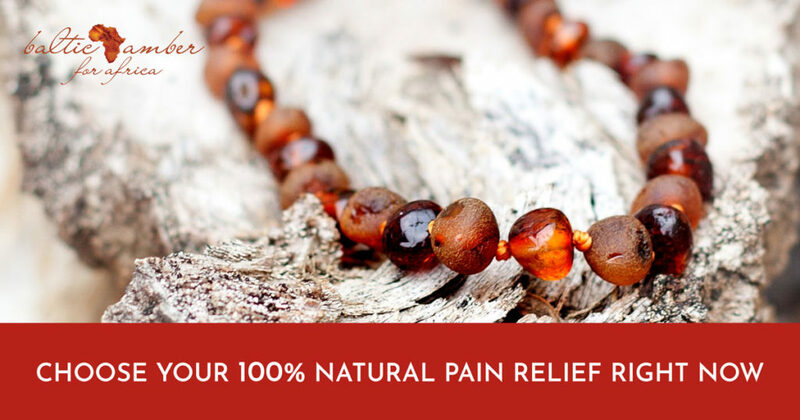 Our amber products help smoothing teething pain in babies and relieve pain in adults too. Baltic Amber for Africa is pleased to announce that you can now also purchase our amazing amber products online! The products included in the online store launch are: the teething necklaces and bracelets for babies; adult necklaces and bracelets; and pet collars. The online products feature all of Baltic Amber for Africa’s signature colours. Our new online store serves our customers, and their amber needs directly. Purchases will be delivered to your chosen address. Courier services for Cape Town starts at R45, and R85 for major city centres. Payments in our Baltic Amber for Africa online shop is secured through Payfast. Visit our online shop today and select from one (or more!) of our amazing amber products. Relieving pain naturally, is a great way to be your best self. This entry was posted in news and tagged Amber Bracelets, Amber Necklaces, Amber Products, Baltic Amber for Africa, Online Shop, Online Store.